Our Team — NETCOR Design Systems Inc.
NETCOR Design Systems’ growing team of professionals is comprised of more than just technology geeks; we are football fans, creators, travelers, and parents. The center of who NETCOR is lies not just in our skills, but in our values as individuals and as a team. Integrity, dedication, and communication are the foundation of who we are. Technology and all its exciting possibilities are at the forefront of what we do. This finely-crafted elixir of people and skills is what makes NETCOR Design Systems so unique. Get to know each of our valued team members and what makes them tick. Interested in joining NETCOR Design Systems? We are always looking for talented individuals to add to our team. All team members enjoy generous health benefits, PTO/vacation time, growth opportunities, and more. NETCOR Design Systems is an equal opportunity employer. Get In Touch with Us to discuss your next career opportunity! 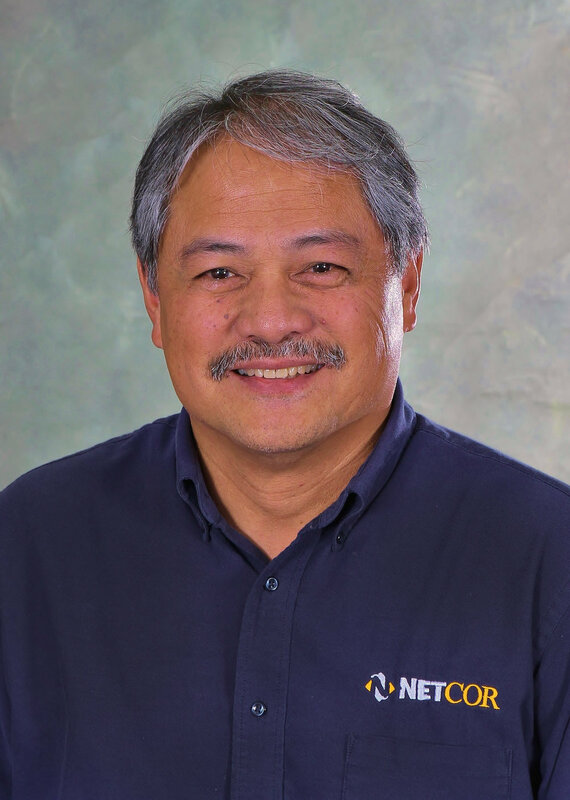 With over 30 years of experience in the industry, Richard is an expert in data center and mission critical facilities design and engineering. He has been instrumental in the completion of many prestigious technology infrastructure projects in both the San Francisco Bay Area and globally. When he isn’t busy leading the NETCOR team, Richard likes to spend time with his family, visit his cabin in Lake Tahoe, golf, and ride his dirt bike. Dave has been working in the telecommunications industry for over 28 years. As a consultant and project manager, Dave has been a key player in the design and installation of a wide variety of projects throughout the US and globally. In his free time, he loves to barbecue and watch his favorite Bay Area sports teams compete for wins on the field. Joe has over ten years of experience providing construction and documentation packages for the telecommunications industry. As the Senior CAD Designer at NETCOR Design Systems, Joe stays busy working on drawings for complex projects while managing the production department. When he isn’t hard at work, Joe enjoys magic tricks, podcasting, Disney, watching movies, and reading. John is a Registered Communications Distribution Designer who comes with over 30 years of experience. John has worked on a variety of high-profile projects including global projects for Cisco, Visa, Symantec, and Dolby. John and his wife met on the stage, and there’s a chance you can still see them in shows around the San Francisco Bay Area. He is also a licensed skydiver and PADI SCUBA Instructor. Chris has been working in the telecommunications industry for over seventeen years. 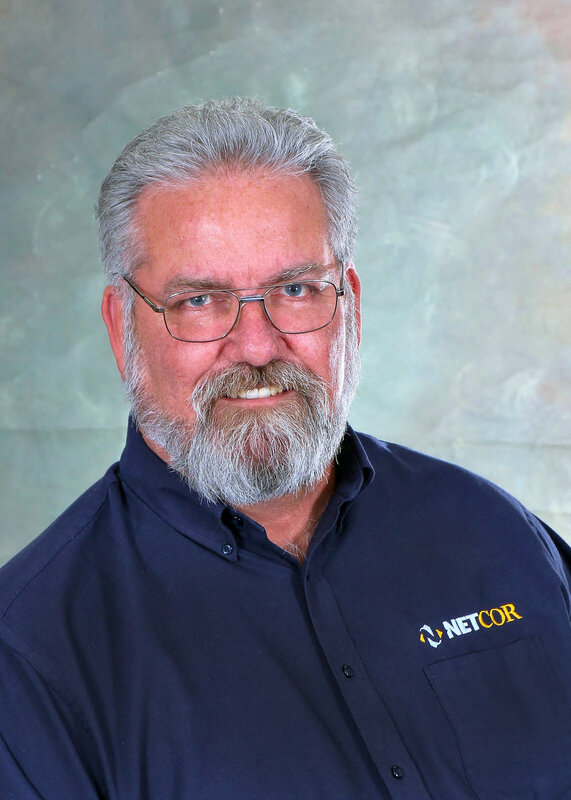 After working at Cisco for many years as a Technician and Project Manager, Chris joined NETCOR to put his impressive skills to work. His vast knowledge of installation methods and IT Standards coupled with his solutions-oriented attitude enable him to be a successful project manager in our growing industry. When Chris isn’t taking care of business, he likes to hang out with his wife and three kids and watch his favorite sports teams compete. Fernando is a key member of NETCOR Design Systems’ production team. He ensures that design and construction documents are completed on time, with each detail completed to perfection. Fernando’s strong understanding of design documentation and how it is implemented makes him an asset to any project he works on. When he’s not redlining CAD drawings, Fernando enjoys home improvement projects, snowboarding, reading, and drawing. Gail is a Swiss Army knife who handles all kinds of projects at NETCOR, from human resources to accounting. She is a bundle of energy who keeps the entire office laughing every day. In her spare time she enjoys painting, watching HGTV, and going to Giants baseball games. With over 25 years of AV experience, Karl is skilled in all aspects of audio visual systems, including design, installation, service, and more. In an engineering capacity, Karl has performed a key role in several complex AV projects including executive briefing centers, emergency operation centers, all-hands meeting spaces, broadcast studios, smart classrooms, city/county council chambers, and more. In his spare time, Karl likes to hang out with his family and play guitar in his rock band, Kook. Catch him playing a show at one of your local venues around the Bay Area! With a background in marketing in the audio visual industry, it comes as no surprise that Laura is excited by the way technology impacts our daily lives. Laura brings a range of skills to the table, including digital marketing, copywriting, and visual design, but it is her gregarious nature that gives her drive to get out and meet clients, prospects, and channel partners each day. When she’s not working on marketing content or out in the field making connections, Laura enjoys making art, going to concerts, and traveling. Kiko is a production technician with a keen eye for detail. He typically works on complex AV projects, ensuring that all the pieces of the puzzle come together correctly. Kiko’s favorite thing about working at NETCOR is the variety in projects, which makes every day interesting. On the weekends, he likes to spend time with his family, work on cars, and watch his favorite sports teams. Val is another one of our key members of the design and production team. He works on a variety of projects including detailed IT designs. Val’s favorite thing about working at NETCOR is not just the interesting work, but the people. When he isn’t hard at work in the office, he likes to hang out with his wife and kids, bowl, ride his motorcycle, travel, and watch sports. Teri keeps the NETCOR team going by coordinating important meetings, events, and making sure everyone is staying on top of their game. She is also our communicator extraordinaire. Teri loves music, hanging out with her daughter, and bringing her dog Bella (the unofficial NETCOR mascot) to work.